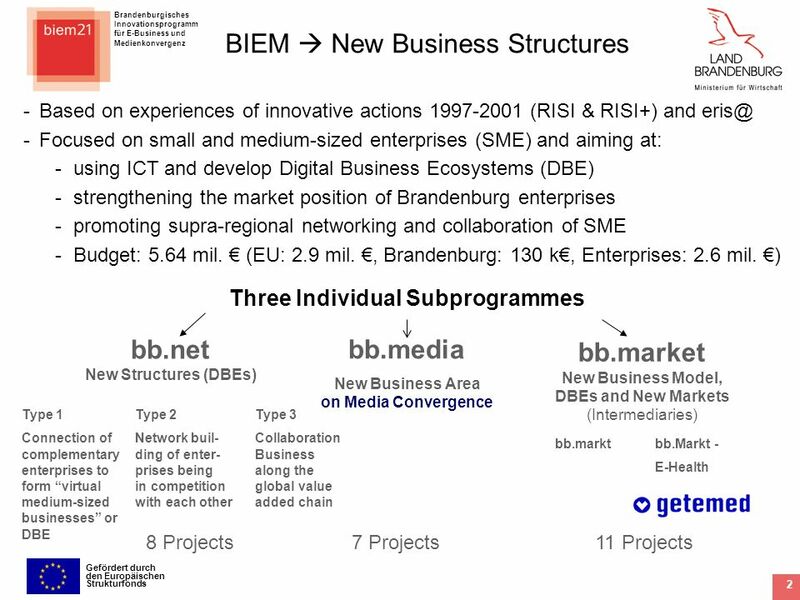 Brandenburgisches Innovationsprogramm für E-Business und Medienkonvergenz Gefördert durch den Europäischen Strukturfonds 1 Innovative Programme of Brandenburg. 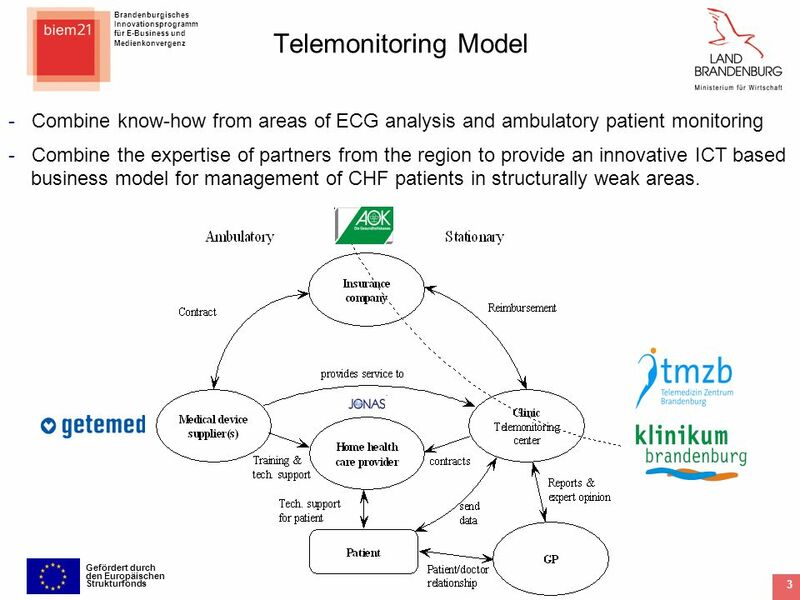 3 Brandenburgisches Innovationsprogramm für E-Business und Medienkonvergenz Gefördert durch den Europäischen Strukturfonds 3 Telemonitoring Model -Combine know-how from areas of ECG analysis and ambulatory patient monitoring -Combine the expertise of partners from the region to provide an innovative ICT based business model for management of CHF patients in structurally weak areas. 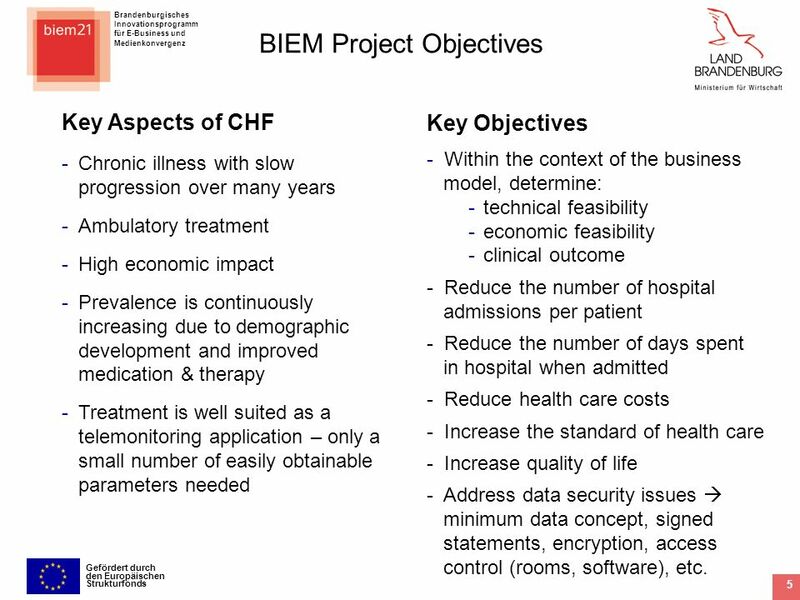 5 Brandenburgisches Innovationsprogramm für E-Business und Medienkonvergenz Gefördert durch den Europäischen Strukturfonds 5 BIEM Project Objectives Key Aspects of CHF -Chronic illness with slow progression over many years -Ambulatory treatment -High economic impact -Prevalence is continuously increasing due to demographic development and improved medication & therapy -Treatment is well suited as a telemonitoring application – only a small number of easily obtainable parameters needed Key Objectives - Within the context of the business model, determine: -technical feasibility -economic feasibility -clinical outcome - Reduce the number of hospital admissions per patient - Reduce the number of days spent in hospital when admitted - Reduce health care costs - Increase the standard of health care - Increase quality of life - Address data security issues minimum data concept, signed statements, encryption, access control (rooms, software), etc. 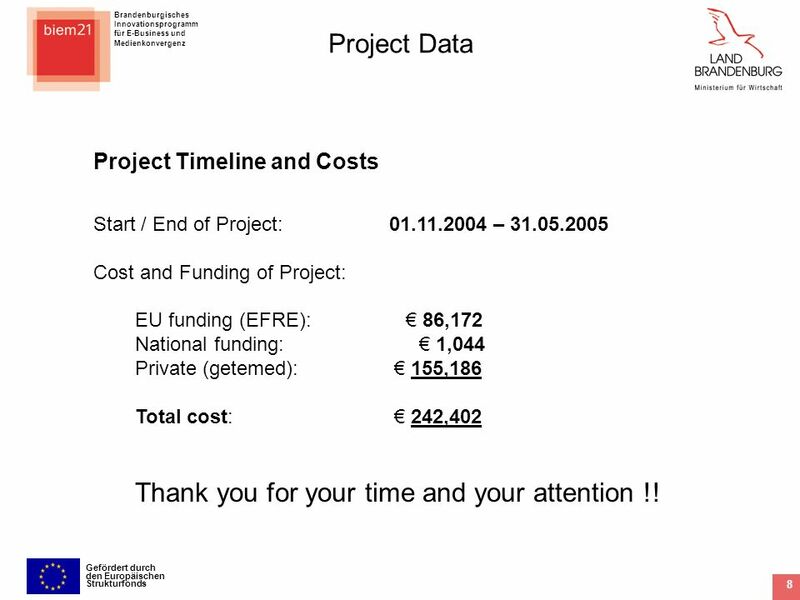 8 Brandenburgisches Innovationsprogramm für E-Business und Medienkonvergenz Gefördert durch den Europäischen Strukturfonds 8 Project Data Project Timeline and Costs Start / End of Project: 01.11.2004 – 31.05.2005 Cost and Funding of Project: EU funding (EFRE): 86,172 National funding: 1,044 Private (getemed): 155,186 Total cost: 242,402 Thank you for your time and your attention !! 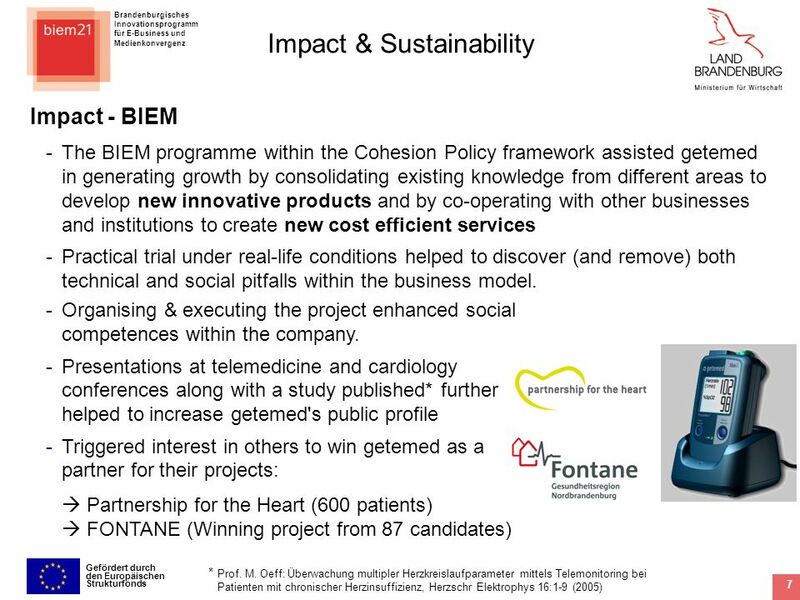 Download ppt "Brandenburgisches Innovationsprogramm für E-Business und Medienkonvergenz Gefördert durch den Europäischen Strukturfonds 1 Innovative Programme of Brandenburg." 1 Vectors in Innovation Innovation in vocational education and training Johan van Rens, Director European Centre for the Development of Vocational Training. page 1 Jc Grisoni The Network : a means for the cities to take up the challenge of an efficient management I. The URBAN France Network : presentation. Digi-lodge Shifting Greek regions to Tourism 2.0 through ERDF Yannis Larios // // Regiostars 2012 – The Awards for Innovative Projects. 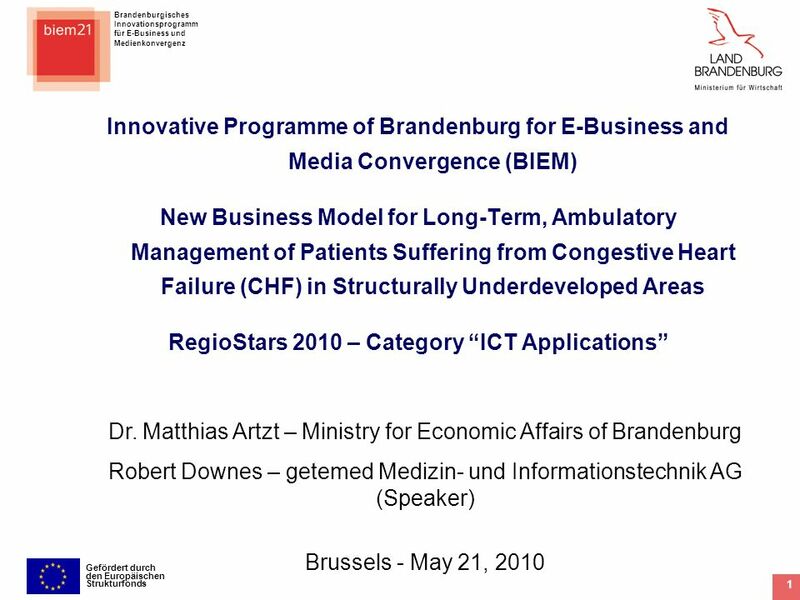 Sharing for Progressing Presentation to the RegioStars Awards 2012 Category 1 Smart Growth 16 January 2012. The business case of accessibility: an opportunity not only for business but also for regions 7 October 2010, Committee of the Regions, Open Days, Brussels. 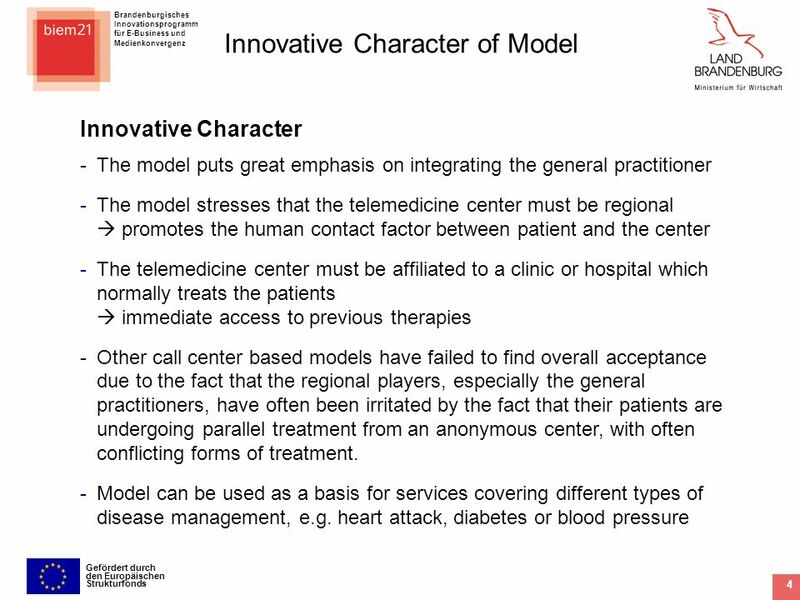 Reviving Healthcare Curing Hungary EU Structural Found Resources. 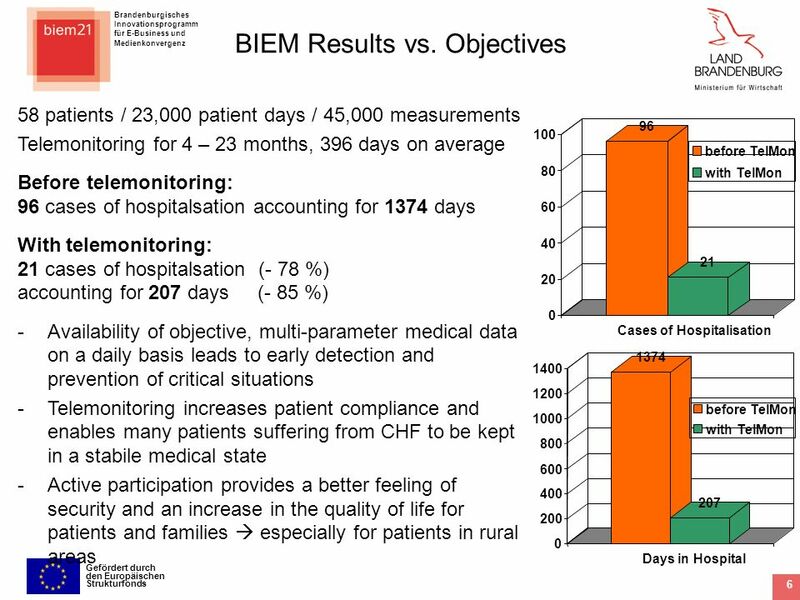 Importance of Health Information Systems Information explosion during 1990s  It is estimated that in the next 50 years, the amount of knowledge currently.